Imagine this: After much time and effort, you have convinced investors to put money behind your dreams and are ready to open a retail cannabis dispensary in California. You have engaged a realtor that helps you find the perfect potential location and you’ve worked with an architect to help you re-imagine the space and create a floorplan. Countless hours have been spent forging relationships with vendors all over the state so you can eventually fill your shelves with amazing products. And when it comes time to apply for a California cannabis retail annual license, you feel confident. Except there’s one major thing you overlooked… cannabis inventory compliance. And this oversight could be the one thing standing between you and opening the doors of your first cannabis retail store. That’s because in California, during the cannabis license application process you must outline the steps you’ll take in your dispensary to track and trace all product that moves through your store. Without a solid inventory tracking strategy, your annual license application will be denied. We want to help you avoid this situation, so Cova’s compiled an easy guide that outlines everything you need to prove your commitment to inventory compliance on your annual cannabis license application. Why is Inventory Compliance Important? 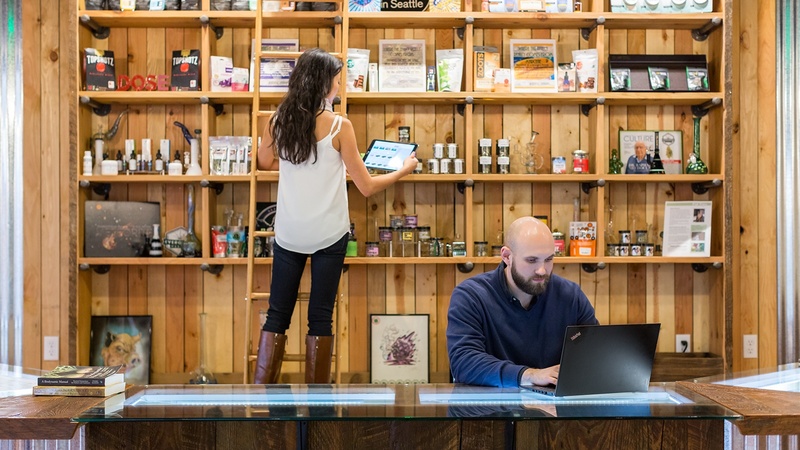 It’s important to understand why legal cannabis states take inventory compliance so seriously. First and foremost, proper cannabis inventory procedures are vital from a community safety perspective, a responsibility that all business owners take on. Without a robust seed-to-sale tracking system, California wouldn’t be able to account for cannabis products as they move throughout the state. Lack of tracking would increase the likelihood that tainted products reach consumers, cannabis falls into the hands of minors and/or products travel to non-legal states. Because inventory tracking is so important, breaking the state’s rules could result in hefty fines, loss of license and sometimes even arrest. Establishing inventory procedures early on will save you time, money and a countless amount of headaches. And some other potential inventory pitfalls that you can avoid by investing in the right cannabis POS. Crafting a solid plan for dispensary inventory procedures is not only good for your business, but required to get your license. Find out exactly what you need to know with our whitepaper “Inventory Procedures for Dispensary Owners in California”.